For an inside look at politics, culture, society and economy in the region of Central and Eastern Europe, there is no other source like New Eastern Europe. Since its launch in 2011, the magazine has quickly become recognized as a leading source of exclusive content about the region. In 2013, NEE was short-listed for the prestigious European Press Prize and continues to expand as a key source for opinion makers in Europe and beyond. 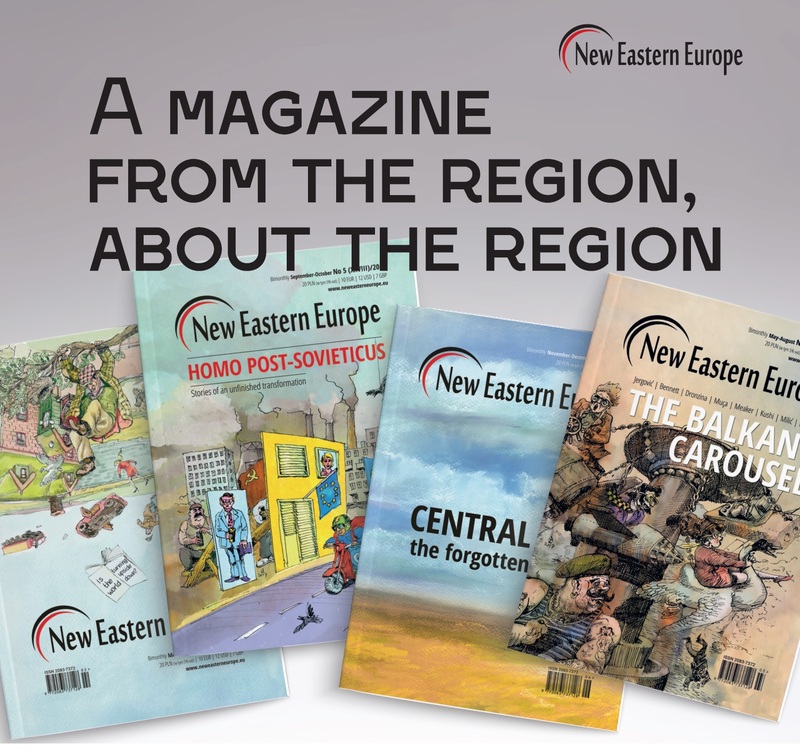 New Eastern Europe is an independent, non-profit magazine. All income as a result of sales and advertising is reinvested in order to make the quality of the magazine even higher. New Eastern Europe is distributed by Pineapple-Media, an international press distribution company. We are available for purchase in Bookstores, newsstands, airports and rail stations in over 30 different countries. Our subscription base is located in 38 different countries. Advertising with New Eastern Europe not only will help you reach our unique, growing audience, but is also a way for you to support our magazine and mission of strengthening dialogue and building awareness of issues. We also ask that we include the 3mm bleed on each side.